The internet is a remarkable creation. Whether you’re looking for installment loans, groceries, or a copy of the original cut of Star Wars, you can likely find it online. Happily, the internet is a great big place, and if something is online, chances are good it’s there in abundance. For example, a single search can uncover a number of lenders with flexible credit requirements — and easy online applications that offer an instant decision. (Oh, and about a dozen VHS players on eBay). In many cases, personal loans are what consumers think of when they think about getting a loan. A personal installment loan is dispersed directly to you, and it can be used to finance just about anything that needs financing, from home repairs to sudden emergencies. With bad credit, finding a personal installment loan will likely require working with a subprime lender that specializes in loans for people with troubled credit histories. Online lending networks, like those below, can be a simple way to find and compare offers from a variety of lenders from around the country. Although a personal loan can be used to finance most anything, some things simply shouldn’t be financed with a personal installment loan. Automobile purchases, for example, should be done with an auto loan, as the interest rates on auto loans are generally much lower than the rates charged by personal loans. And, speaking of interest rates, you shouldn’t use a personal loan to finance frivolous purchases, especially when you have poor credit. The personal installment loans offered to consumers with low credit scores will generally have high APRs and fees that make them best suited to emergency funding or consolidating higher-interest debt. Although not always considered as a loan, credit cards do represent credit lines that can, in basic effect, be used as a type of installment loan thanks to the fact that most credit cards allow you to carry a balance from month to month and make monthly payments. With poor credit, your credit card options are generally going to be limited to unsecured subprime credit cards and secured cards, though some store cards may also be attainable. On the plus side, all of our top-rated cards for bad credit will report your payment history to the three credit bureaus to help you build credit. While credit cards can be used similar to an installment loan for longer-term financing, they’re better suited as an alternative to costly short-term cash advance loans. This is especially true for cards that offer a grace period on interest for new purchases, as this can allow you to finance your purchase for several weeks without interest so long as you pay in full by the due date. Keep in mind that subprime credit cards won’t generally offer very high limits, with limits around $300 being typical. Secured credit cards can offer higher credit limits, but you’ll need to make a deposit equal to the size of your desired credit limit to open and maintain the account. The common expression, “It takes a village,” is often used to describe child rearing. But, the same expression can also be applied to modern lending, as peer-to-peer lending networks become increasingly popular ways to obtain funding. At heart, peer-to-peer loans are installment loans funded by individual, amateur investors — a.k.a., regular consumers. Since peer-to-peer loans typically have multiple investors who risk a small amount of money each, the overall risk tolerance of the group tends to be higher, making it possible for borrowers of various credit backgrounds to find affordable loans. Although primarily known as an online lending network that connects borrowers with direct lenders, PersonalLoans.com can help users connect with peer-to-peer lenders, as well. Loan amounts and requirements will vary based on the particular peer-to-peer lender, making a lending network a simple way to compare offers. One of the original online peer-to-peer lending networks, Lending Club offers personal, business, auto, and medical loans. Most loans require a credit score of 600 or better, but a co-borrower may help you circumvent the score requirement. Applicants are given a score based on the network’s proprietary model that indicates the risk of the loan and determines the interest rate you’ll receive. The time it takes to obtain funds will depend on how long it takes for your loan to gather enough individual lenders to fund the full amount. Peerform has been around since 2010, and the peer-to-peer network specializes in personal installment loans for consumers with credit scores of 600 and higher. Since the platform doesn’t accept cosigners, the sole applicant must meet the credit requirements. As with other peer-to-peer networks, Peerform uses an in-house algorithm to score each application based on the amount of risk involved in the loan. Individual investors can then decide whether (and how much) to invest in your specific loan. Funds are dispersed when enough investors have contributed. Having bad credit can make it more difficult to obtain a loan in your personal life, but a low credit score can have a negative impact on your ability to qualify for business loans, as well — particularly if your business doesn’t have its own credit on which to rely. As with consumer loans, however, the internet has a range of options available for obtaining an online installment loan for your business, despite a low personal credit score. Keep in mind that most business lenders will have minimum business age and revenue requirements to qualify. QuarterSpot in an online lender that offers small business term loans of up to $200,000 with term lengths of up to 18 months. You’ll need a personal credit score of at least 550 to qualify for a loan through QuarterSpot. Your business needs to have been open for at least one year to qualify for a loan. You’ll also need to meet basic revenue qualifications; specifically, your business needs to bring in at least $16,000 a month in revenue to qualify. Kabbage offers business credit lines of up to $250,000 with terms of up to 12 months. There are no set minimum credit score requirements, and approval will likely depend on both your personal and business credit profiles. You need to have been in business for at least one year to qualify for a loan. Additionally, your business must bring in an annual revenue of at least $50,000, or have made at least $4,200 a month for the last three months. StreetShares is a small business lender that specializes in helping veterans obtain business funding. The platform offers both term loans and credit lines of up to $100,000 for qualified applicants. In addition to being an eligible veteran, applicants need to have been in business for at least one year and to meet minimum revenue requirements. 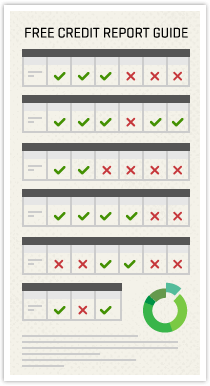 You can check for pre-qualification online to get an estimate of your approval chances without impacting your credit. In the world of consumer loans, two main types of loans exist: short-term cash advance loans and installment loans. At the most basic level, the main difference between the two types of loans is how they’re repaid. 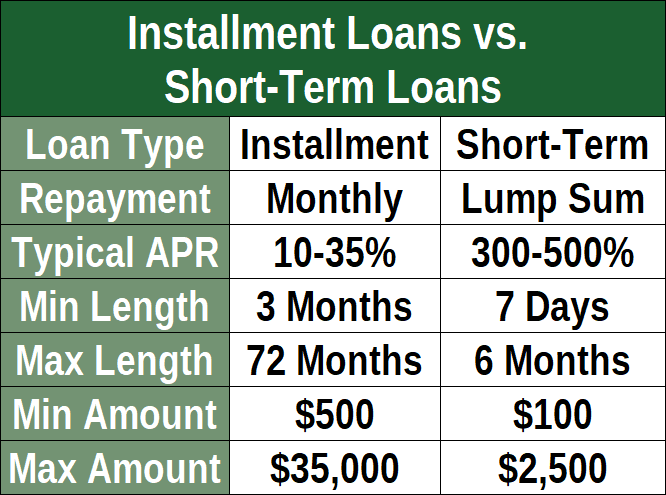 With installment loans, your principal and interest are repaid a little at a time through monthly payments, or installments, that can take place over six months up to six years. Each monthly payment will be the same size and due on the same date each month, making it easy to know when and how much you need to pay. Short-term cash advance loans, on the other hand, are typically repaid via a single, lump-sum payment that includes the full principal and all fees and finance charges. If you can’t make the full payment, you can buy an extension — but it’s expensive (as is nearly every aspect of short-term cash advance loans). Can You Get an Installment Loan With No Credit Check? One of the most common questions about obtaining an installment loan is whether you can get one without the hassle of a credit check. The short answer is: no. The long answer is: maybe, but you probably shouldn’t. Essentially, lenders use a credit check to determine how risky it is to lend money to a particular applicant. If you have a troubled credit history and low credit score, the lender will likely see you as a high-risk applicant and be less excited to offer you money. While some lenders are what’s known as subprime lenders, meaning they specialize is financing bad-credit applicants, even subprime lenders will typically require a credit check before approving an application. This gives the lender a better idea of how much you can afford to repay, which lets the lender gauge how much to lend you. That being said, a quick internet search will likely turn up at least a few lenders willing to skip the credit check entirely, but it will probably cost you in the long run. That’s because lenders that skip the credit check are taking on a lot of risk, and that risk can get expensive when borrowers default on their loans. To offset that risk, these lenders charge higher rates and fees — for every applicant, regardless of their actual credit profile. In most cases, applying with a lender that does credit checks will be the more cost-effective method, especially if your credit score is on the higher end of the bad-credit spectrum. While you may have a slightly higher chance of being rejected by a lender that performs credit checks, you’re more likely to pay what your credit deserves, not what will protect the lender from other applicants. Should You Use a Direct Lender or a Lending Network? When looking for an online loan, most applicants will use one of two methods. One, you can use an online lending network to get offers from multiple direct lenders and choose the best offer. Alternatively, you could skip the lending network and apply directly with the lender itself. In either case, you’ll sign a loan agreement from a direct lender, as lending networks don’t actually finance loans. However, using an online lending network can be a good way to connect with multiple lenders without having to fill out multiple applications. The choice to go with an online lending network or to apply straight with a direct lender is really up to you, based on your preferences and the amount of time you wish to invest. 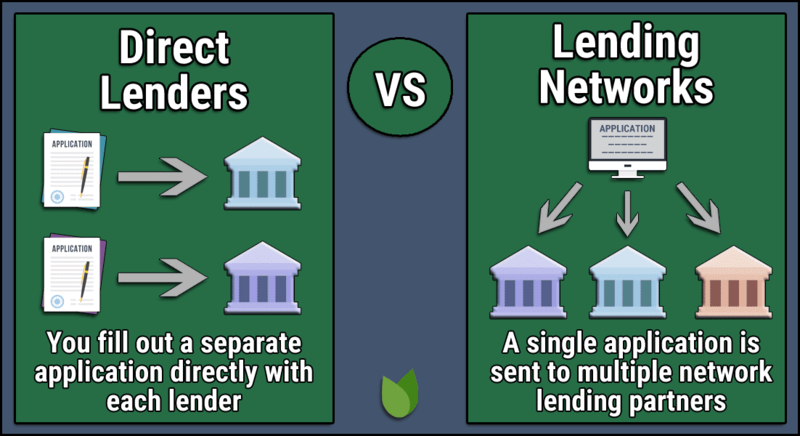 Lending networks can be a convenient tool, connecting you with multiple lenders at once from just one application. But, you’ll also potentially be putting yourself on the mailing lists of any and all of the lending partners that are part of the network. Conversely, finding a direct lender yourself and applying without the middleman means you’ll only wind up on one mailing list. At the same time, this strategy means doing all the legwork yourself, a task that could take up hours of your time as you fill out multiple applications for quotes to compare. Do You Need a Cosigner to Get an Installment Loan? Other than improving your credit, one of the most effective methods of obtaining an installment loan with less-than-ideal credit is to apply with a cosigner. Essentially, a cosigner is someone with good credit who agrees to accept responsibility for the loan should the primary borrower be unable (or unwilling) to repay the loan. 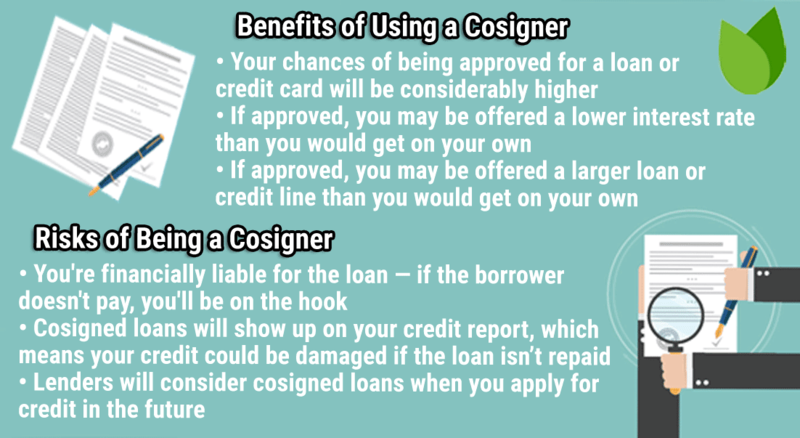 Because the cosigner agrees to be responsible for the loan, the risk to the lender of default is significantly lower than it would be if the bad-credit borrower were applying singly. That reduced risk generally means the lender will not only be more willing to approve your application, but may also offer a larger loan, lower rates, and/or lower fees. However, it’s important to realize that cosigners don’t eliminate the risk, as such; in effect, that risk simply gets transferred from the lender to the cosigner. In other words, if the primary borrower fails to repay the loan as agreed, it’s the cosigner that the lender will likely go after for the remaining funds. And, more than the money, the cosigner is also putting his or her credit score on the line. Any poor payment behaviors — such as delinquent payments — on the part of the primary borrower will also negatively impact the credit of the cosigner. As such, it’s important to thoroughly understand the risks before agreeing to be a cosigner (or asking someone to cosign your loan). One of the realities in our modern society is that, if you can think of it, there’s probably a website about it already. The internet is home to billions of domains and users, pages and bots, and it’s all constantly growing. While the sheer mass of information on the internet can make it difficult to track things down at times, it also means there are often a ton of options for any given item once you manage to find it. This applies not only to physical objects, such as long-lost VHS tapes, but also to financial products like loans. Indeed, in our digital world, you’re rarely ever more than a few clicks away from whatever it is you need, and that applies as much to installment loans as it does to science fiction movies. Of course, it’s not likely you’ll be prohibited from buying a movie because of your credit score, so be sure to do your homework while shopping for loans, especially if you have bad credit. You can find online installment loans despite a low score, you just have to take a look.